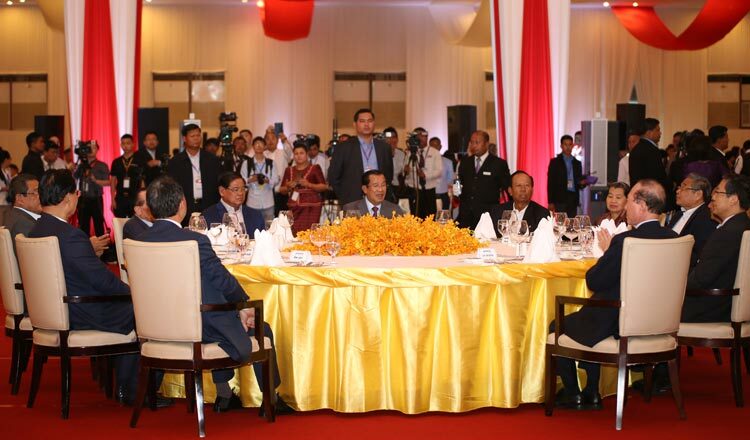 Speaking during a dinner organised by the Cambodian-Chinese Association, Mr Hun Sen said the current approach to Sino-Cambodian relations dates back to the reign of King Norodom Sihanouk, and added that Cambodia will always respect China’s unity and sovereignty. “Now, the relation between China and Cambodia has expanded. Through our strong relationship and cooperation, Cambodia hopes to continue attracting Chinese investors and tourists,” he said, pointing out that last year 1.7 million Chinese holidaymakers visited the Kingdom. The premier also said the Cambodian market is open to Chinese products and said the government will continue its work to facilitate Chinese investment. According to government data, from January to June 2018, Chinese investment was worth $5 billion, making China the biggest investor in the Kingdom. Chinese investors are involved in almost every economic sector, from energy to infrastructure, and from tourism to real estate and finance. Trade between Cambodia and China reached $5.6 billion last year, a 12 percent increase from 2017’s $5 billion. Pung Kheav Se, president of the association, said Chinese and Cambodian Chinese investors play a big role in the social and economic development of the country. Chinese president Xi Jinping in January agreed to increase the quota for Cambodian rice imports to 400,000 tonnes for 2019, up from last year’s 300,000 tonnes. In 2018, Cambodia exported 626,225 tonnes of rice to international markets. China was the largest buyer, purchasing 170,000 tonnes. During a meeting in Beijing between Mr Hun Sen and Mr Xi in January, Mr Xi said the ties between China and Cambodia are very special, according to a post on Mr Hun Sen’s Facebook page.